At DreamHack Winter 2017 today, Esteban “AKAWonder” Serrano was staring down a very bad board state, with only a single card in his hand: Swashburglar, which gives you one random card from your opponent’s class when played. Dropping Swashburglar, he gets Cabalist’s Tome, which gives a player three random Mage cards. And from that dice roll inside a dice roll, Serrano found the one card he needed to win. One Reddit user captured Serrano’s opponent Davidos’ face in the moment. Maybe next time, the odds will be in Davidos’ favor. 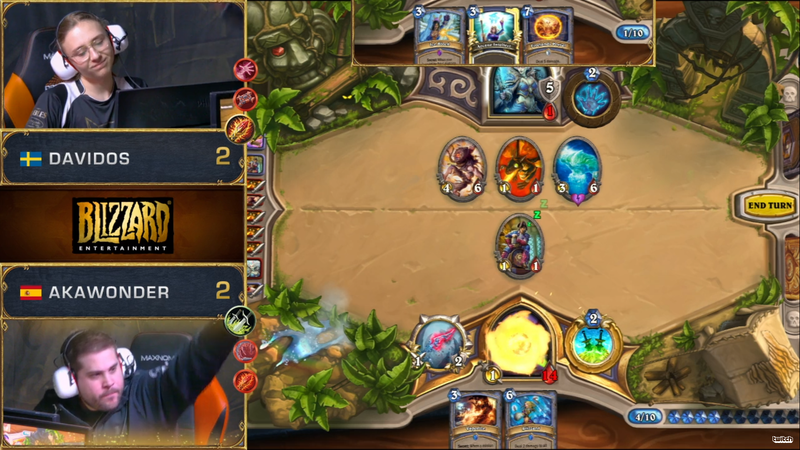 You can follow this weekend’s Hearthstone matches on DreamHack’s Twitch channel.